Anantara Vacation Club is pleased to announce the appointment of hospitality veteran Maurizio Bisicky as the new Senior Vice President of Sales and Marketing. 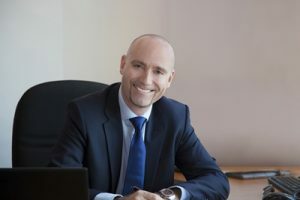 Maurizio Bisicky brings over a decade of experience in hospitality as a former Regional Vice President, Sales & Marketing for Marriott Vacations Worldwide. In this role Bisicky was responsible for top and bottom line of all sales operations and call centers serving Europe and the Middle East, with annual revenues exceeding US$50 million. Prior to Marriott, Bisicky served in international leadership roles in the financial services industry as well as in manufacturing. Anantara Vacation Club launched in 2010 as a luxury Shared Holiday Ownership concept offering discerning customers opportunities for 5-star vacations in Asia and beyond. In just five years, Anantara Vacation Club has quickly grown into a recognized industry leader. Through the acquisition, development and renovation of quality resort properties; its unique and flexible Club Points system; and the advantages offered by being part of the worldwide network of Anantara Hotels & Resorts, Anantara Vacation Club is quickly redefining the standards for the shared ownership industry standard in Asia.